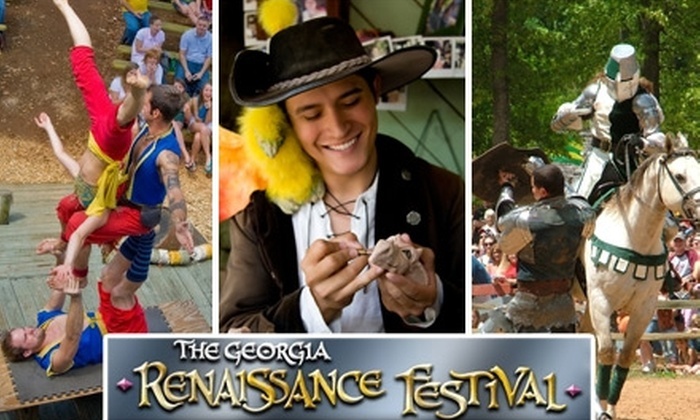 The Georgia Renaissance Festival returns from April 15-June 4, 2017. There’s alot to do at the GA Ren Fest, enjoy the shows, jousting, photos with the King & Queen and the Fairy Queen, wandering minstrels, & the list goes on. April 15 & 16: Opening weekend. Buy one adult ticket & get one free. The offer is available online & at the gate. April 22 & 23: College weekend. Tickets are $8 at the gate when you show your college ID. April 29 & 30: Kids Free Weekend. Up to four children (12 & under) will be admitted free admission per paid adult.